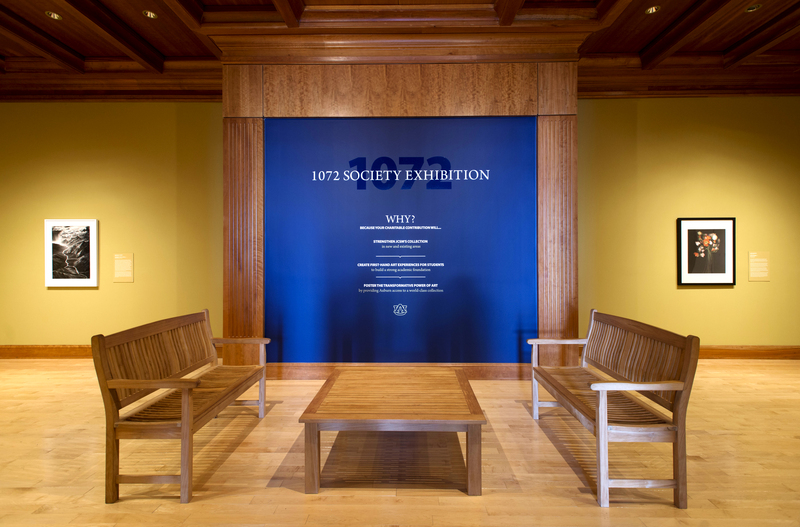 Last call to view the 1072 Society Exhibition, but not to donate! 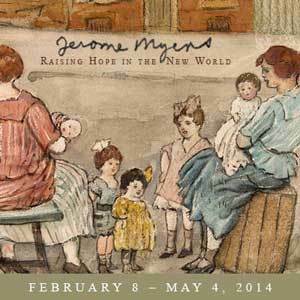 Though the exhibition is closing on Sunday, January 24, there is still time for charitable giving! You may make your charitable gift towards the 1072 Society Class of 2016 through January 31. 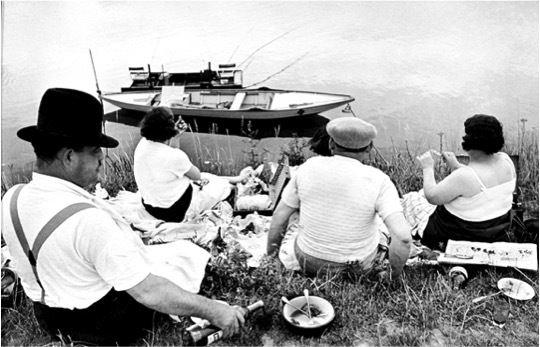 This year focuses on photography and features historic, traditional, and contemporary examples of that diverse medium. Make your charitable donation online or by calling Cindy Cox at 334.844.3005. The 1072 Society is composed of friends of the museum who contribute funds annually for the express purpose of acquiring new art for JCSM’s permanent collection. Each year we assemble and exhibit a selection of art for consideration of purchase with funds generated by this group, so-named in honor of the dollar amount paid in 1948 for 36 modernist paintings to establish a university collection. 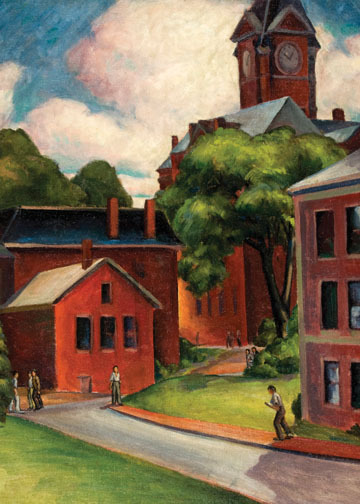 Today, 1072 Society donors carry forward that initial vision to collect significant art at Auburn. 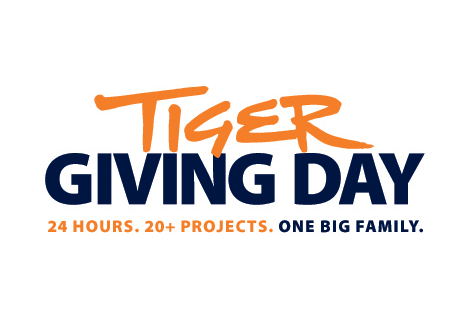 Launched publicly during A-Day weekend, Because This is Auburn is a $1 billion dollar campaign to propel our university forward through a renewed commitment to our students, a continued promise to our state, and a shared responsibility to the world. We know that there is tremendous power in every gift and within everyone who supports our cause. 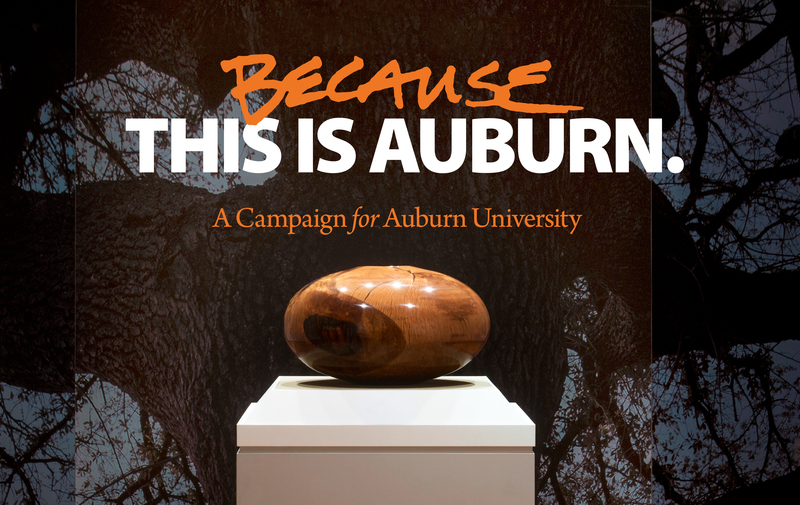 As a result of this campaign, we envision a bright future for Auburn University and the Jule Collins Smith Museum of Fine Art, and only through your investment can we make it a reality. We know it is up to us. Why do we know we will succeed? Why do we believe that our family will rise to the occasion? Because This is Auburn. Read the case statement for programs and facilities support at JCSM. 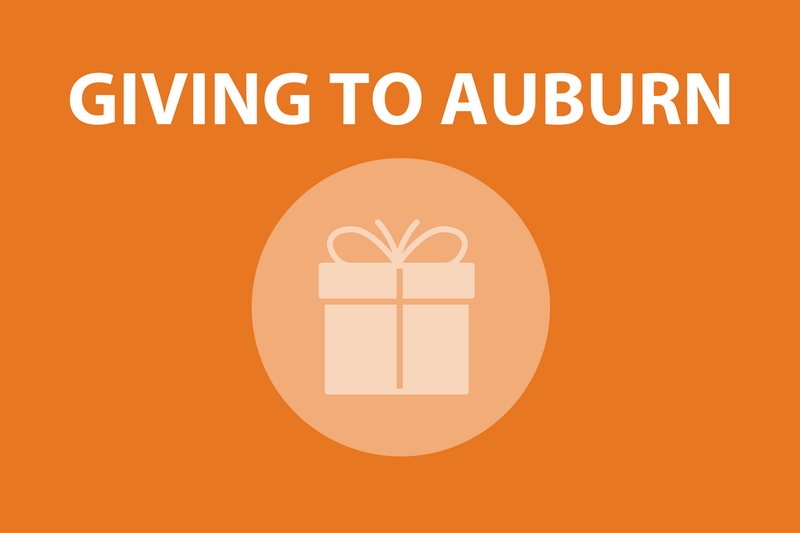 Support JCSM through Because This is Auburn — A Campaign for Auburn University. 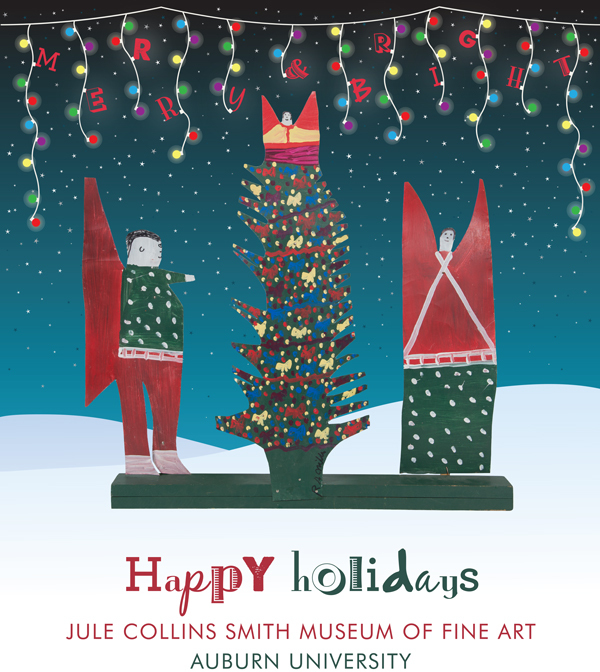 The staff members of Jule Collins Smith Museum of Fine Art are a dedicated group of artists, photographers, historians, curators, designers, and writers who all believe art changes lives. 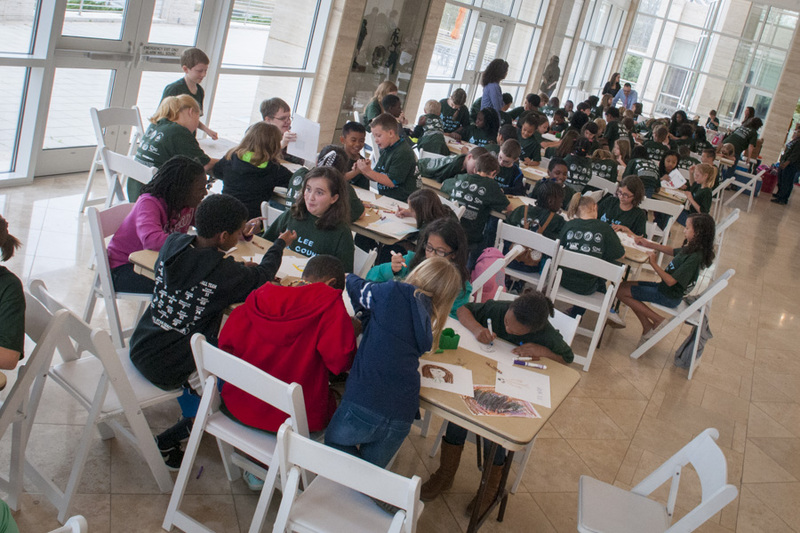 Beyond the “9 to 5,” we recognize that JCSM is a charitable, nonprofit organization that enhances life-long learning and community enhancement. For the spring membership drive March 25-28, these staff members wanted to share why they support Auburn’s art museum and what they enjoy. If you join during these dates, you can take 10% off your membership and get an “Art Changes Lives” t-shirt (while supplies last). I joined to show support for the museum and join the more than 600 other online student members. As a part of the campus opportunities for both undergraduate and graduate students, JCSM is one of the wide variety of resources that makes the university experience rich. My favorite artist in the collection is José Bedia and E incontrolable será (It will be uncontrollable), 2007. 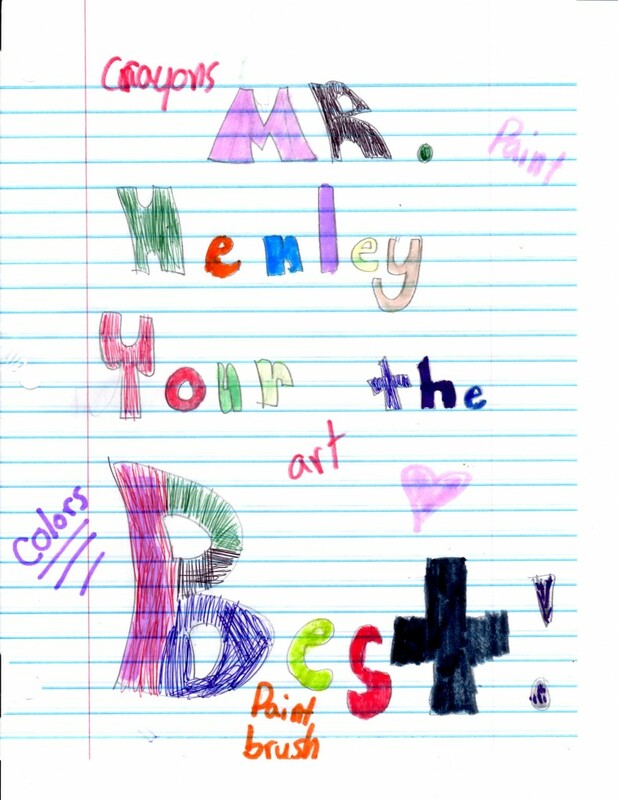 My favorite program is split between art clubs, which are a great time for me, as I get to teach and make art with students, and the docent-training program, since it’s fun to see adults find the same joy in the visual arts as children. I grew up in Auburn, but attended college out of state. At the time, there wasn’t an art museum here. I remember my mom telling me the university was building one, and upon hearing this, how I wished there had been something like that when I was a kid. When I moved back to the area from Washington, DC, I was overjoyed to join the museum staff. There are exhibitions on view that one would expect in major cities, right here in my hometown. One of my favorite programs is the Southern Circuit Tour of Independent Filmmakers (SCTIF). I regularly attended independent filmmaking screenings and panels in DC. The SCTIF films are always amazing and the guest filmmakers insightful. My favorite exhibition (as of now!) 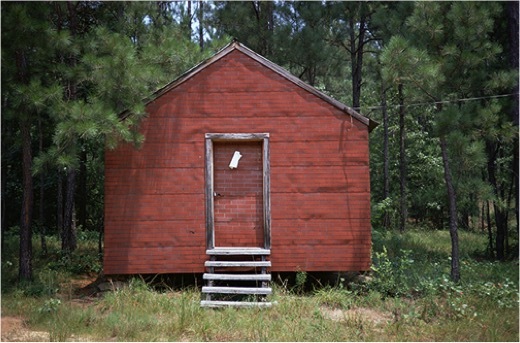 is Out of the Box: An Outdoor Juried Sculpture Exhibition. The sculptures add so much to the already spectacular museum grounds. 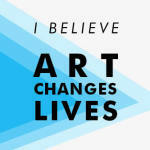 I really do believe in JCSM’s mission: art changes lives. I am lucky to have this job that allows me to meet new and interesting people and gives me reasons to stay connected to those I know on campus, all in the name of making Auburn University more culturally rich. My membership is a symbol of my commitment to our goals. My favorite work of art? That’s a hard question. I curate the Louise Hauss and David Brent Miller Audubon Collection, so my familiarity with and the research I have done on it makes me have a deep appreciation. I am especially fond of the Audubon Robin print. I am very fond of Peter Graham (Scottish, 1836–1921) Highland Cattle in a Stormy Landscape, 1886 and JamesPeale (American, 1749–1831) Still Life with Watermelon and Peaches, ca. 1820, in the permanent collection. I also think quite often about a piece we showed in an Auburn Collectsexhibition of the Dr. Ed Hayes’ collection called About to Change His Tune, by Stephen James Ferris (American, 1835–1915). But these are just ones that come to mind right now. 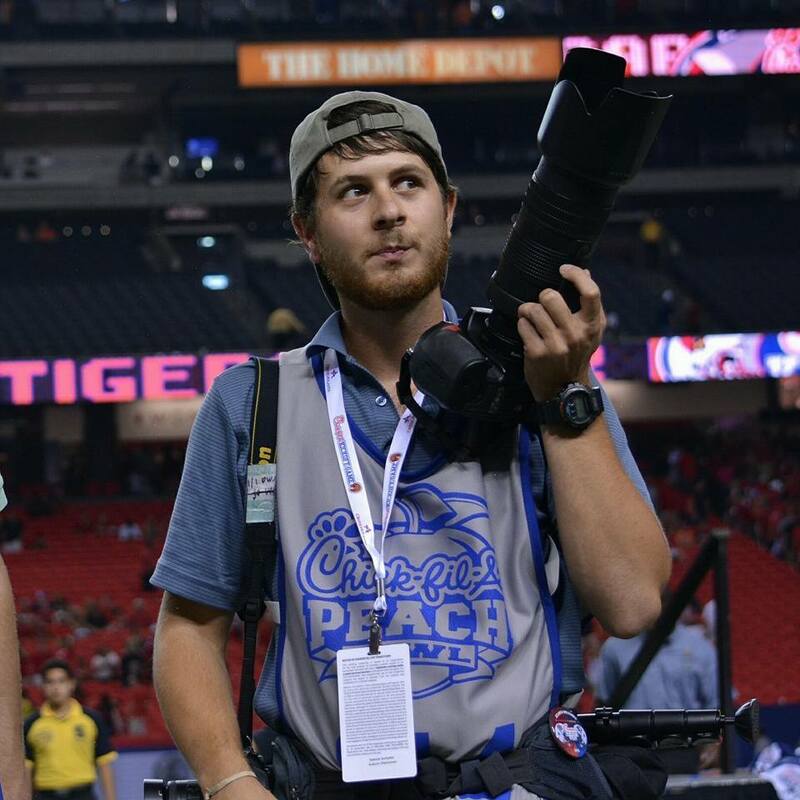 One of my favorite programs to date is FILM@JCSM, a program that draws on the talents of Auburn faculty. Led by Dr. Sunny Stalter Pace, the faculty members choose a series of films that relate to one of our exhibitions and invite members from our own faculty or scholars form elsewhere to introduce the films and lead discussion. I love it that the people involved in that program feel ownership of the museum, and they bring smart, interesting voices into our programs. JCSM’s lunch time music programs are popular, and we’ve carried that over into our expanded Thursday evening hours with live jazz from 6 to 8 pm with tapas and cocktail menus from 5 to 8 pm. Growing up, my parents always took us to the museums in downtown Chicago. I was so fortunate to be exposed to the different cultures through art. I believe that art begins the conversation of learning about different cultures for children. I joined because I want to continue the conversation of experiencing different cultures and eras. JCSM is truly spectacular, and I love being a part of it! My favorite collection is Advancing American Art. I love the story behind the acquisition of this collection in 1948. 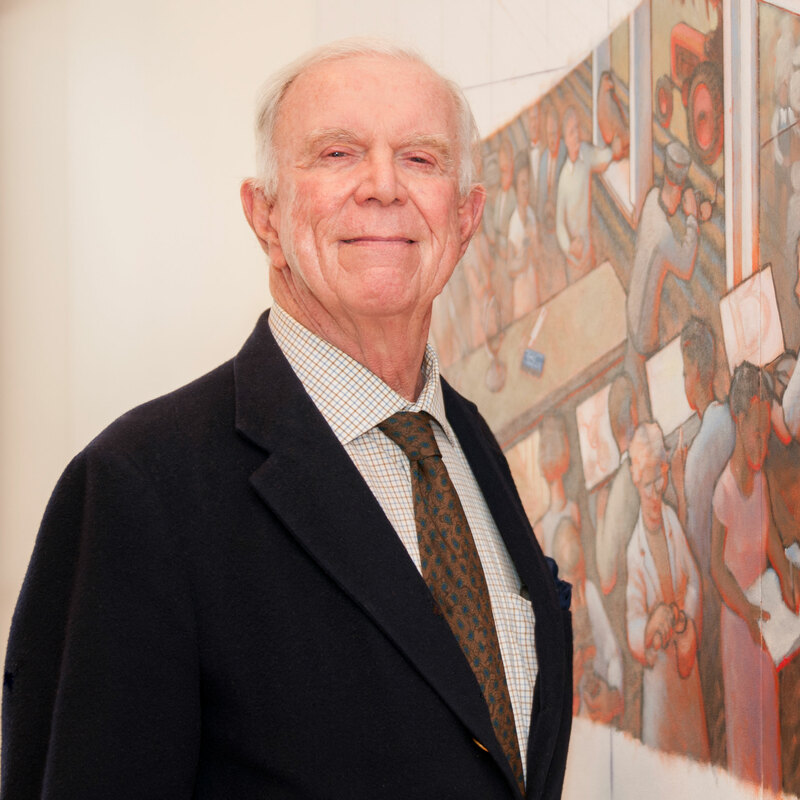 I love that the AU Art department head Frank Applebee felt so strongly about this great collection that he rallied the university and department into acquiring 36 works for $1,072! Today, we pay tribute to this initial purchase with the 1072 Society. 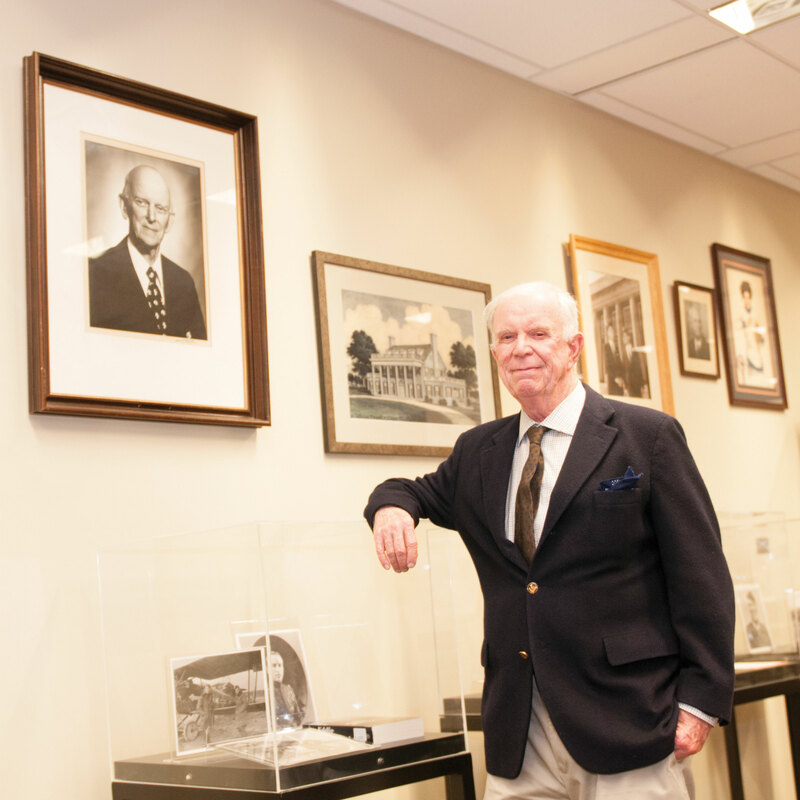 Community and alumni efforts through 1072 Society have resulted in 18 new pieces of artwork that enhance our teaching capabilities. You can enjoy film, music, and art history discussions during our membership drive programming, as well as see what’s currently on view. Drop by during our membership social on Wednesday, March 26 from 5 to 7 pm and enjoy BBQ sliders, pimento cheese crostini, sweets table, and much more from Ursula’s Catering. Cash bar available for those 21 and above with valid I.D. Out on the terrace, Scooter McGavin band will present their special sound of Folky-Americana-Funky-Rock. Help us with headcounts by RSVP’ing below. This event is free and open to the public. Gallery admission is free courtesy of JCSM Business Partners. On February 27 from noon to 1:00 p.m. in the Grand Gallery, A Little Lunch Music welcomes pianist Josh Pifer. The originally scheduled program featured flutist Elizabeth Goode with Dr. Pifer. That has changed due to unforeseen circumstances. Instead, Dr. Pifer will perform solo pieces by W. A. Mozart (the “Twinkle Twinkle” variations), Dmitri Kabalevsky, Nikolai Medtner, John Corigliano, and Astor Piazzolla. Nick and Carolyn Davis are sponsoring this week’s free concert. The last time Dr. Pifer performed for the series, he had just begun his stint as Piano Lecturer in the Auburn University Music Department. 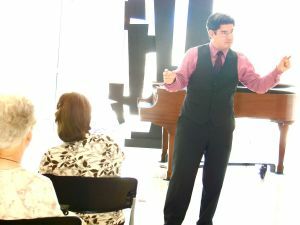 He opened 2011’s fall season with a program that included colorful and wonderful pieces, some by under-performed 20th-century composers. This time around, Dr. Pifer will deliver similarly. Mozart and Piazzolla have appeared on the series before, but I’m pretty sure Kabalevsky and Medtner have not, and I’m almost positive we’ve not heard anything from still-living composer John Corigliano. I love hearing new music. We will look toward rescheduling Dr. Goode, whose reputation precedes her. As it stands, however, Thursday’s program promises to be a great one. A musician himself, Patrick McCurry coordinates A Little Lunch Music and occasionally performs for it. He blogs about the arts in our community. Click below, and fold and crease. Decorate your mantle with this piece. OR! Thread with a string, fasten tight, hang it on your tree to make spirits bright! Christmas Tree with Angels, n.d. 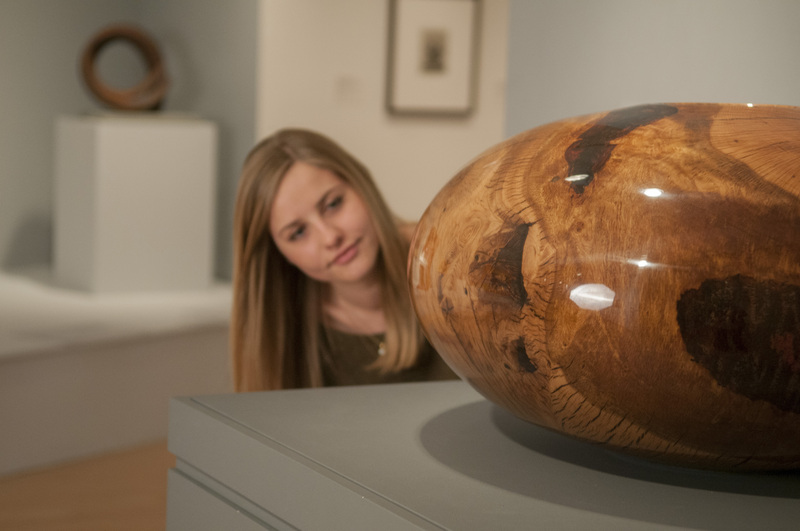 If the phrase “only X number of shopping days left” sends you into a frenzy greater than a winter snow storm, take comfort in the fact that an afternoon at Auburn’s art museum can include a stress-free shopping experience, too. On December 19-22, the Museum Shop is having a 20% off sale with convenient parking, helpful staff, and complimentary gift wrap. December 18 may be free shipping days for the big box online retaliers, but pledging to “shop local” builds community. Do you plan on traveling to the in-laws or staying with friends? One nice way to thank them for their holiday hospitality is with gift of gratitude. Consider a soap with decorative dish or bud vase. Just as pretty as it is functional. Perfect for curling up on the chilliest (or mildest Alabama) winter’s night. There are exhibition catalogues, art history books, and biographies that bring a little bit of the museum into the book lover’s home. Pair a cheese or preserves with a serving set, and the person who enjoys entertaining as much as tasting will be more than satisfied. Presentation is just as important as flavor. For special firsts or to add to a family collection, ornaments that sparkle and shine are a way to spread cheer year to year. Memory makers treasure not only the gift, but the giver. Get them to unplug and unleash their creativity with a beautifully illustrated pop up book or art kit. They can take what they learn in Art Club and the galleries and enjoy at home. These five ideas are just a few on the list! 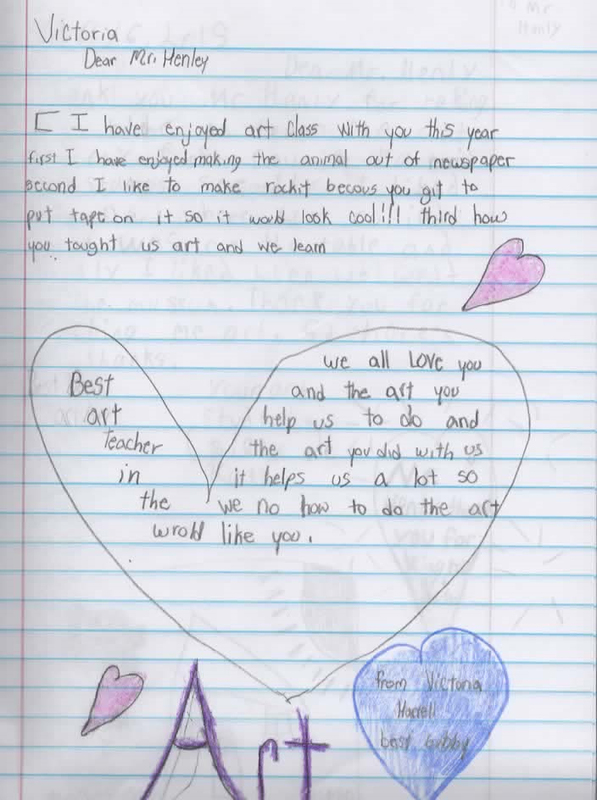 Art Changes Lives, and Happy Holidays!